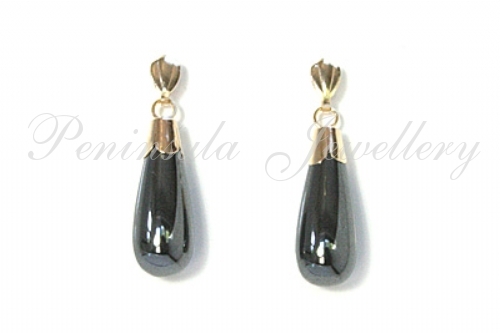 Featuring polished Hematite teardrops suspended from 9ct gold fittings - scallop fronted posts and butterfly backs. Dimensions: 20mm drop, 6mm wide (maximum). Made in England. Presented in a luxury gift box - great gift! 9ct Gold Sapphire Cluster Pendant with 18 inch chain and Earring set.